Cat: ever since ancient times, people have believed that cats were guides to the afterlife. In Ancient Roman households, they were believed to be protectors against evil spirits. 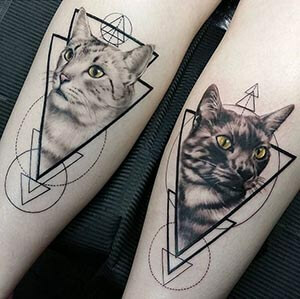 As tattoo designs, cats represent rebirth, mystery, and healing. 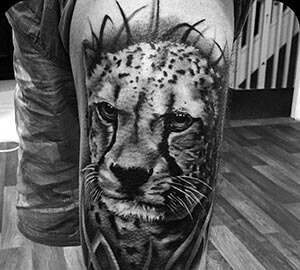 Cheetah: the fastest known runners in the animal kingdom, the cheetah nobility, persistence, and speed as a tattoo design. 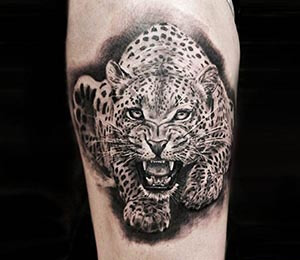 Jaguar: celebrated in Mesoamerican culture as the spirit of the forest, the jaguar represents bravery, strength, and power as a tattoo design. 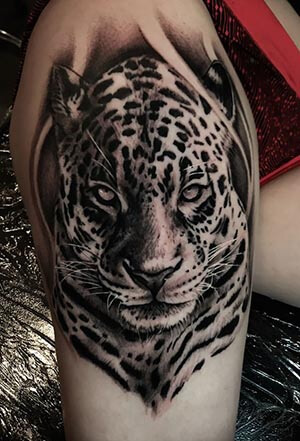 Leopard: a powerful warrior and religious icon, the leopard is a symbol of strength, nobility, and mystery as a tattoo design. 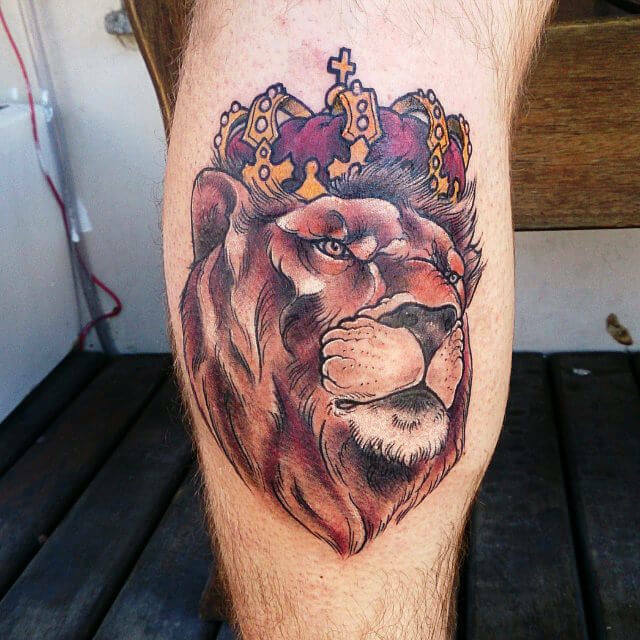 Lion: known as the ‘King of the Jungle,’ the lion represents authority, dominance and courage. 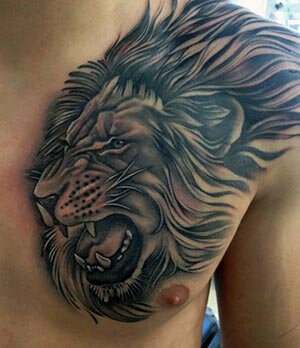 It can also stand as an emblem of power and passion as a tattoo design. 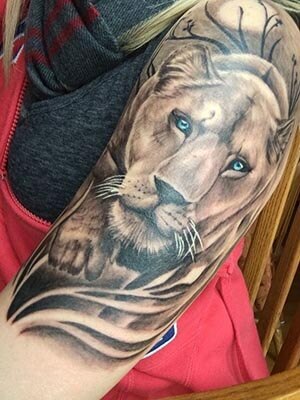 Lioness: animals of the moon, the lioness represents the calm and rational side of human nature. 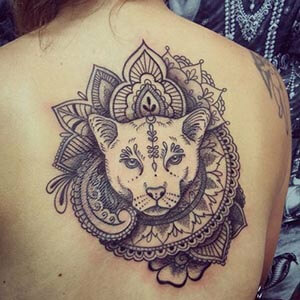 As a tattoo design, the lioness also represents motherhood, wisdom, and protection. 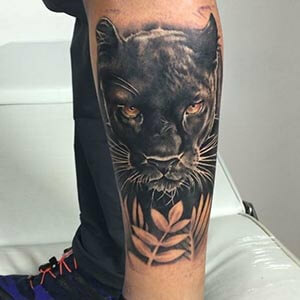 Panther: as the felines with a secretive nature and quiet strength, the panther symbolizes spirituality, intuition and mysticism as a tattoo design. Puma: also known as the mountain lion, the puma is an exceptionally agile, vigilant creature that represents patience, intuition, and protection. Tiger: these ferocious, sensual jungle creatures are symbols of a wild, untameable strength. Felines, no matter how small or large, have a special duality: they’re both docile in spirit and warrior-like. 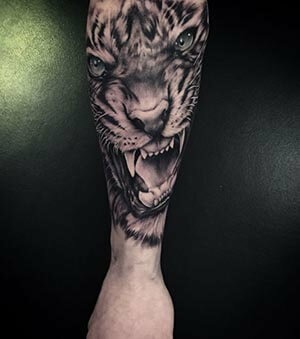 Whether it’s the lion’s passionate, dominant side that speaks to you, or it’s the puma’s quiet intuition that you adore, feline tattoos can make outstanding designs. 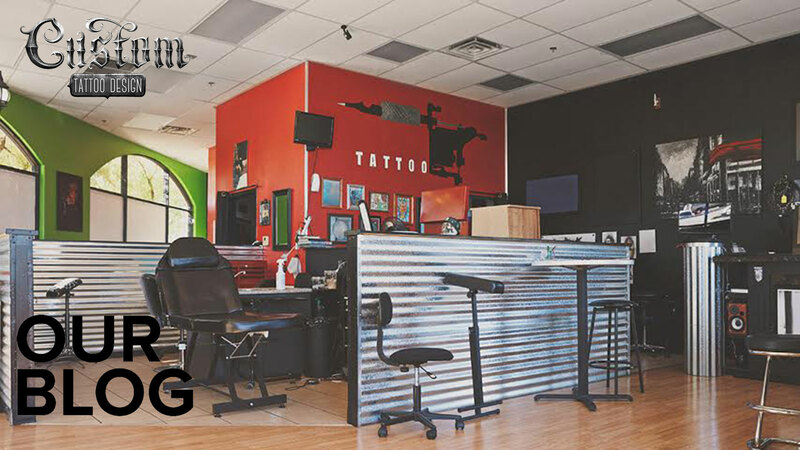 If you know of any other interesting feline tattoo designs, let us know about them in the comment section below!